As human beings we are very inquisitive creatures, the endless amount of research and money dedicated to space and ocean exploration is evidence enough of that. We are always trying to make sense of anything that has not been explained yet. So when I read that a submersible vehicle is being developed to dive into the depths of the Mariana Trench, the deepest part of the ocean in the world, I expect it to be in a column for National Geographic, an in-depth piece on the marvels that the creators hope to discover. Instead, I look at the homepage of Macleans Online under the “Need to Know” column, and see a link to an article of The Guardian, reporting that this journey is a part of James Cameron’s production of his Avatar sequel. Click Here for the article. Really? This couldn’t have been replicated with computer graphics, or you couldn’t just find a spot in the ocean to film this. How much of Avatar 2’s budget is going to be sunk into the development of this submarine. It’s interesting that this trench is such an unknown entity on our planet, and the second time mankind will ever venture down into its depths, it is Hollywood making a movie. It can be argued that this is a representation of the priorities that the western world has adopted. The first journey into the trench was in 1960, and since then nobody has ever attempted it again. Of course now that our start filmmaker wants to capture the visuals of this enigma the second trip is being planned… 50 Years Later! I fail to understand why is it that Hollywood is the forerunner on this excursion. I would imagine this would be a tremendous opportunity to study a portion of this planet that still remains a mystery of us… Instead we are diving deep to most likely have a bunch of blue CG characters swimming around pretending it is a different planet. 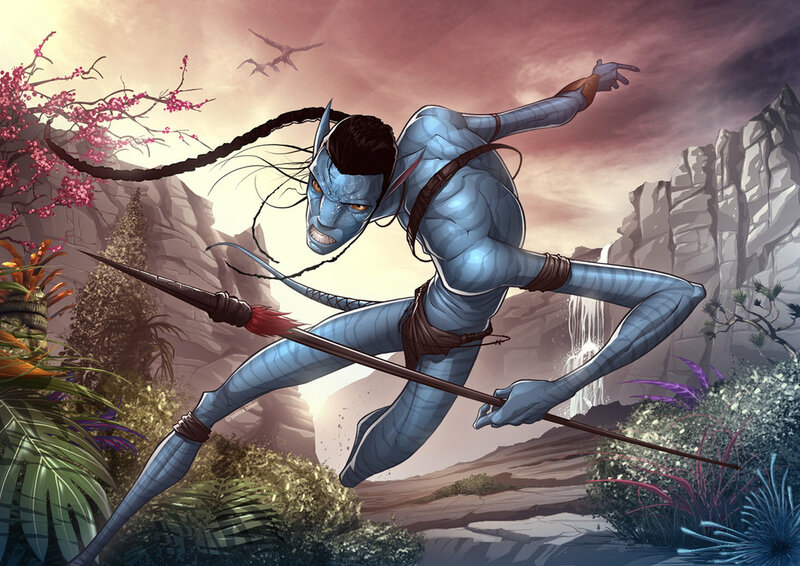 From a story telling perspective I will admit that I am intrigued to see where Cameron is planning on taking his Avatar series, now that it has been made known that the intention is to make it a trilogy. I am not trying to say that it isn’t ground breaking methods of film making, I just honestly don’t see it as being necessary. You can have an underwater planet, without experimenting with a submarine and diving into an area of the world that no human eyes have seen first hand in 50 years. The more I read the article, the more I think. Wow, this actually sounds like the real life plot of a cheesy horror movie. I guess the old cliché holds true that sometimes truth is stranger than fiction. Wait, hear me out. 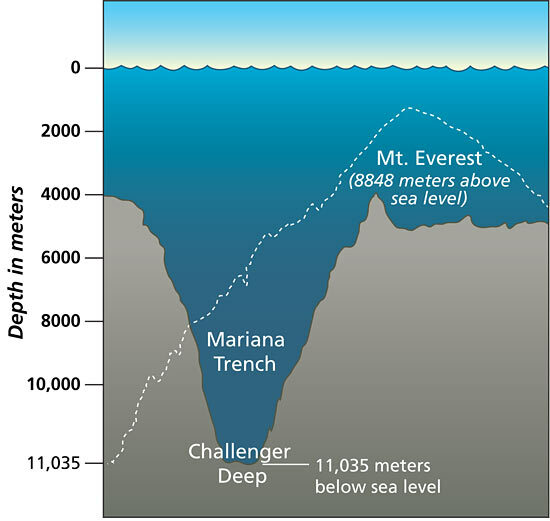 The Mariana Trench in the Pacific Ocean is as deep as Mt Everest is tall. Okay so maybe it is a little dramatic, but I believe I have proven my point. Is Hollywood our new medium for discovery and exploration? Probably not. But really, there isn’t any aquatic scientists that have wanted to do this before hand, and if money was the reason that they have not been able to, what does that say about our allocation of resources. A movie takes priority over actual science? Anyway, I thought I’d share this little piece of knowledge with you, since I don’t think I’m ready to actually share what has really been on my mind lately. I guess that’ll be an entry to come later. Wow, I had no idea this was happening until I read your blog. Seriously, lol, when I read the part about something lurking I had already been thinking it haha. It may be far fetched, but it also may not be. Nobody really knows. It is a shame though that it takes Hollywood money to get this on the go.